Baby's First Christmas Ornament. 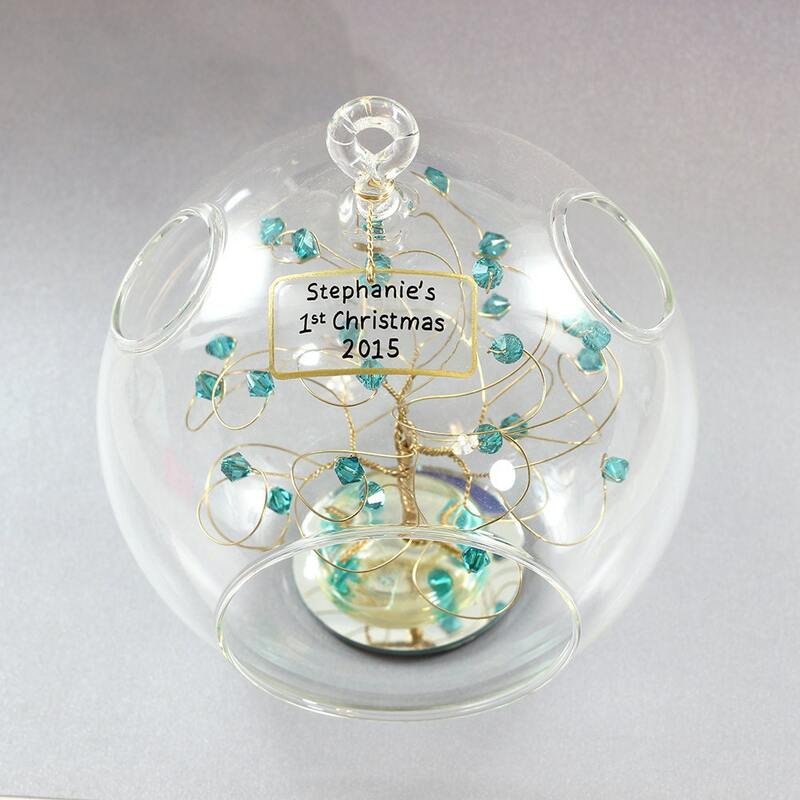 To create your custom baby's first christmas ornament just select your choice of wire and birthstone from the dropdown boxes and add this listing to the cart. In the shopping cart you will find a message box where you can note your personalized text. For multiple ornaments just enter all of the information in the same box indicating which ornament is for which text. I will confirm your choices before starting work on your ornaments. 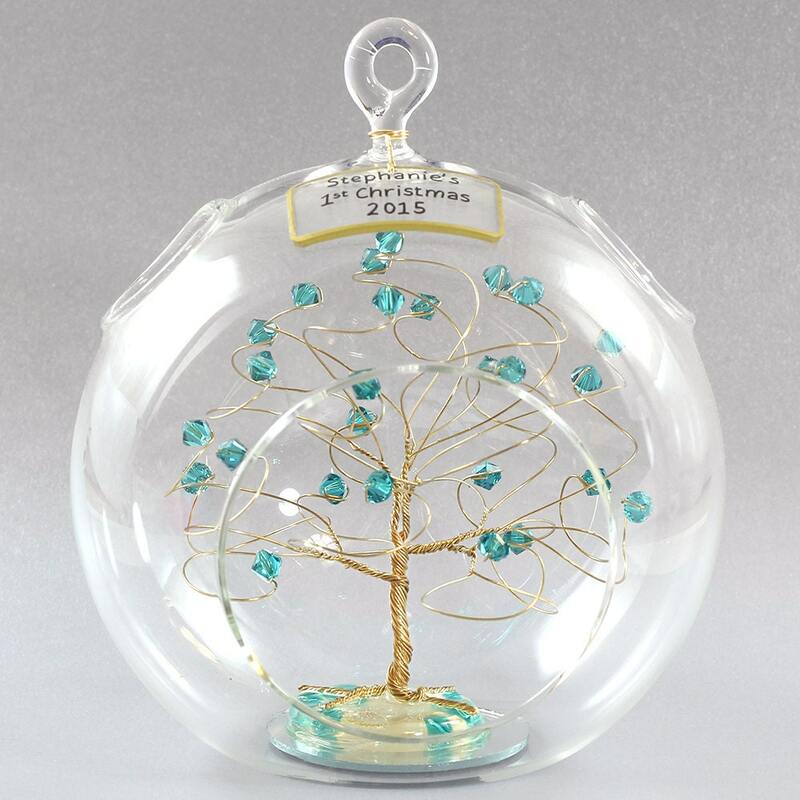 The photos show an example of a baby's first Christmas ornament in gold with blue zircon beads. 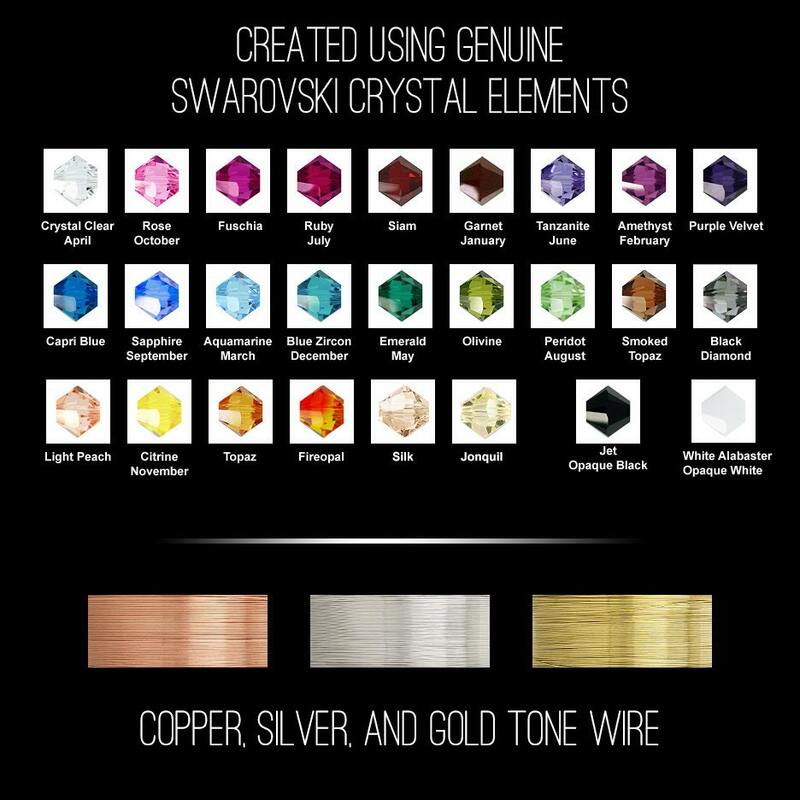 Create it for any holiday with a favorite color or birthstone. 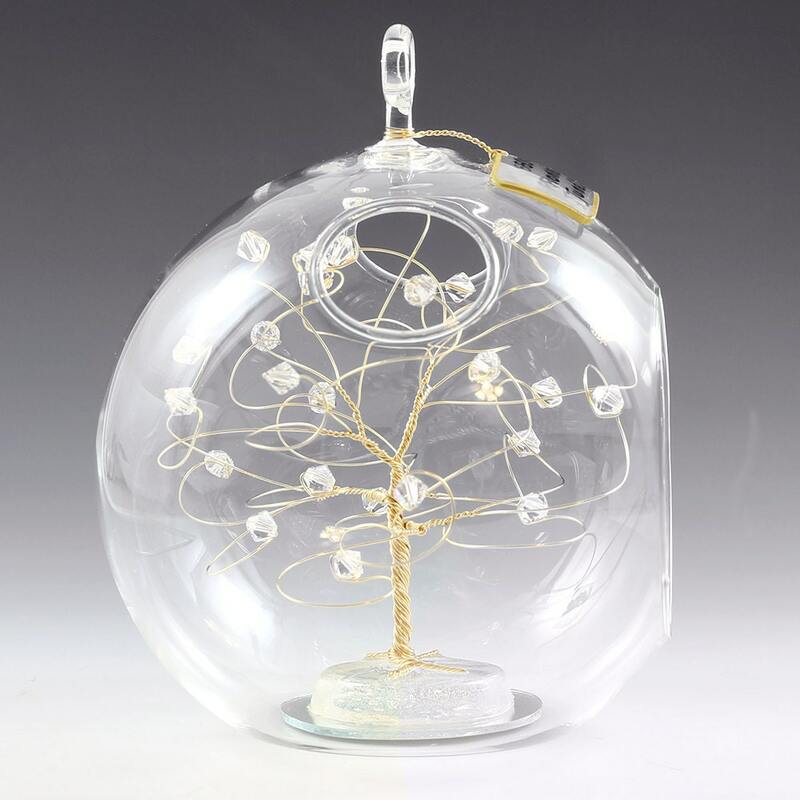 The tree is created using genuine swarovski crystal elements, silver, copper, or gold tone wire, and a glass ornament ball. The 5.5" glass ball features a flat bottom, a hanging loop, and has two holes at the top which are shown in the photos. The sign is handcrafted from acrylic, curved to fit the ornament, and is attached with matching wire. The tree base is resin and matching beads on a small mirror. I make every tree to order so the tree you receive will not be the tree pictured. Allow up to 2 weeks for the creation and delivery of your tree in the USA. International orders can take 2-6 weeks from the ship date to arrive. This ornament is BEAUTIFUL. I debated the price, but after seeing this gorgeous and carefully crafted piece, I’m glad I purchased it. Seller was quick and packed it carefully. It’s exactly as described and even more beautiful than I expected. What a lovely surprise! The ornament was made exactly to our specifications. It was perfect just like our little granddaughter that we bought this for. Thank you so much! Beautiful! Better than hoped! Prompt answers to questions, fast delivery. Thank you so much!